a Subject Complement | What Is a Subject Complement? 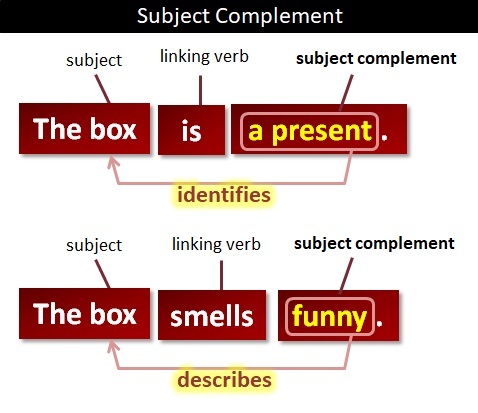 A subject complement is either an adjective, a noun, or a pronoun. That pie looks burnt to a cinder. Read more about noun phrases. Ella was a ghost. She appeared at 12 and looked stunning.